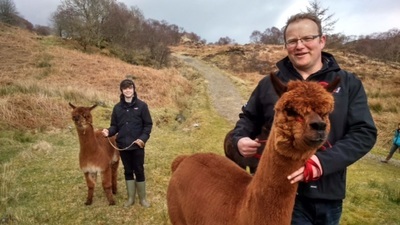 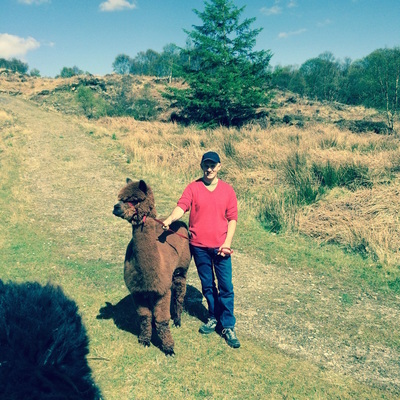 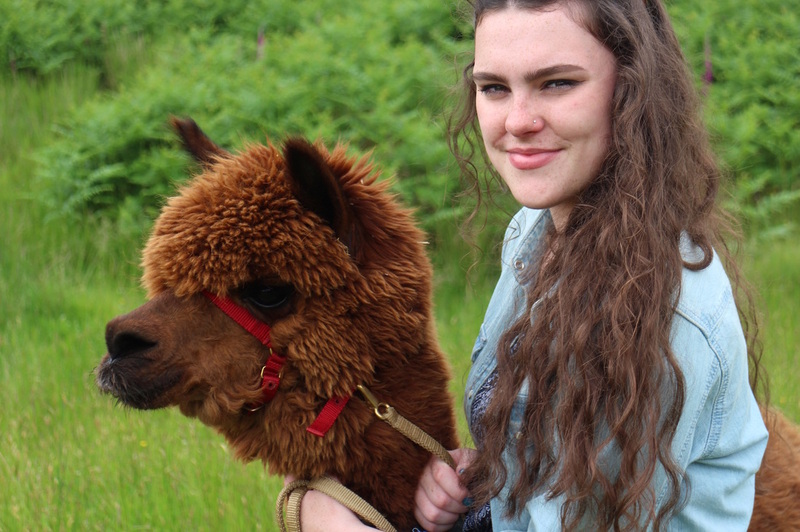 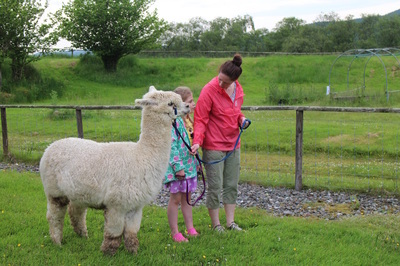 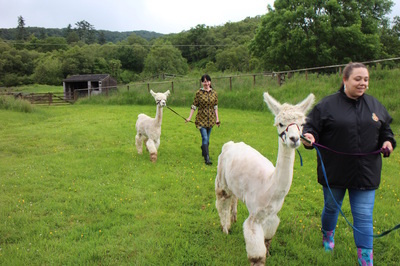 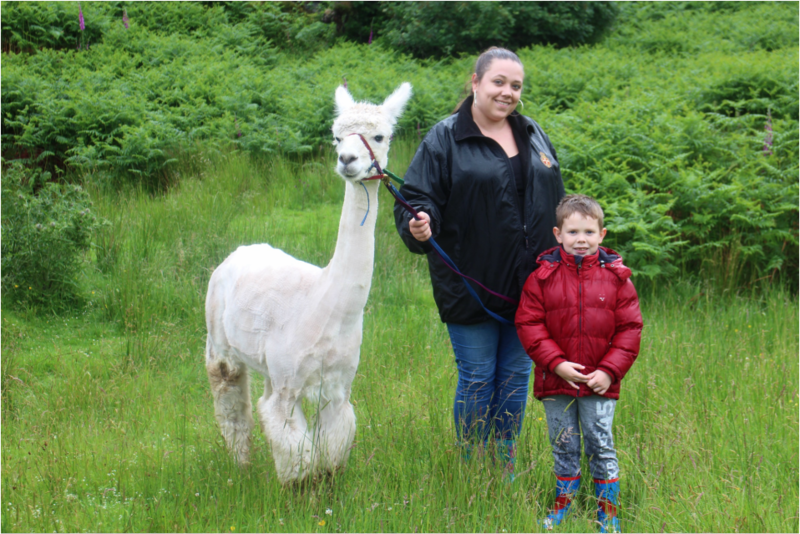 Fancy learning a bit about alpacas? This year I'll be offering "Get to Know You" talks at the farm, bring along some sugar snap peas and come and meet the alpacas. We'll meet at Glenbarr Stores and go from there. 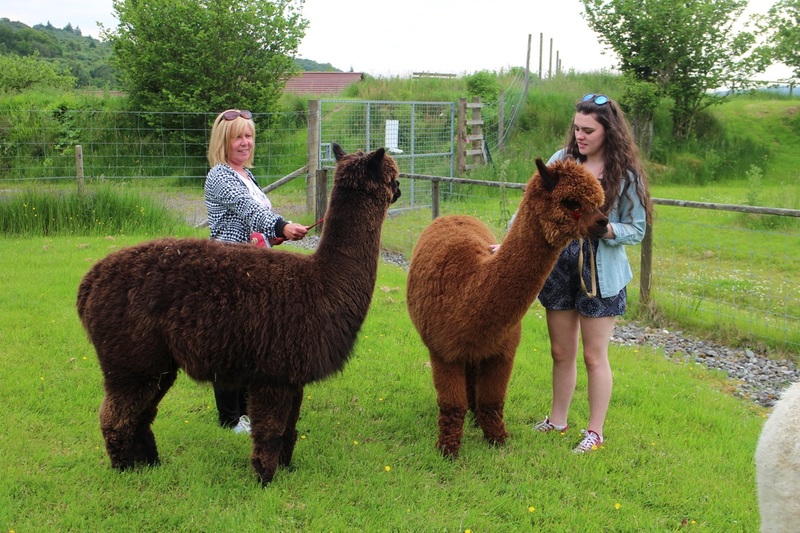 Glenbarr Stores/Cafe/Garden Center - 45mins from Tarbert (PA29) & 15 mins from Campbeltown (PA28). 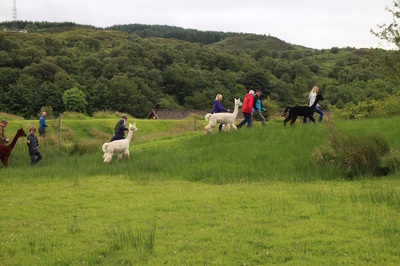 Click on the link below for other great activities in Kintyre and Argyll. 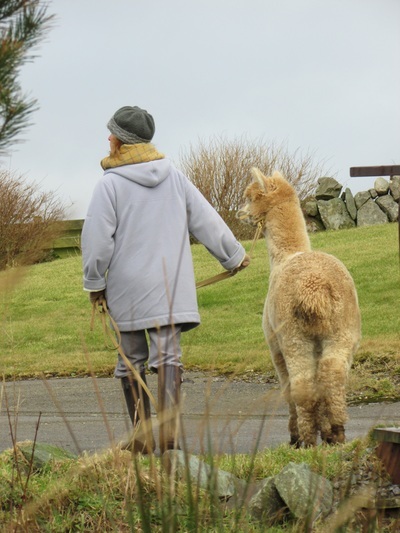 Ella and her newest friend! The first walk for Angus with his new haircut!